This white paper explores the benefits of employing an integrated marketing strategy that pairs direct mail with products like Omni DM to drive and convert website traffic. Our goal is to give you a complete look at what makes direct mail such an important component of the marketing mix, and why it works so well in conjunction with digital marketing (rather than using either as a standalone). 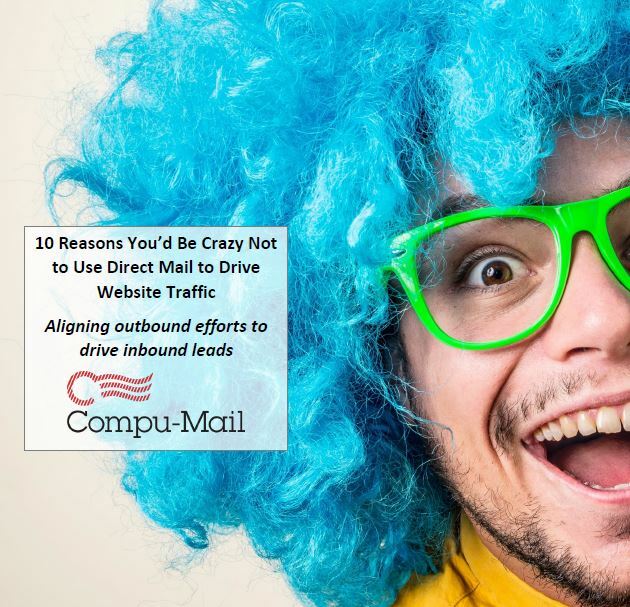 You will walk away with valuable insights on how to use direct mail to drive website traffic and ultimately align your outbound and inbound marketing efforts. Today’s top marketers know that the best marketing campaigns are integrated to include a combination of direct mail and digital marketing efforts. These marketers take a proactive approach to aligning their outbound and inbound efforts by planning their campaigns in conjunction with one another, rather than planning either as a standalone. Marketing efforts simply cannot be planned in a silo, as the results of your marketing efforts are already working together, whether you realize it or not. Direct mail naturally drives website traffic. When a person receives a direct mail piece, they will do one of four things: immediately make a purchase, visit your website to learn more, save it aside to read or act later, or throw it out. So many people take that second action that it has become essential to ensure that the digital experience mirrors the print experience to ensure a seamless user experience on and offline.